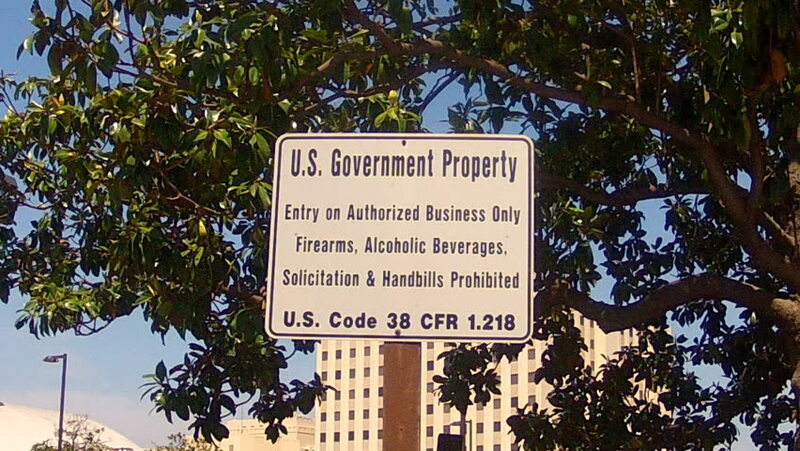 LONG BEACH, CA: May 20, 2013- A "Government Property" warning sign at the Veteran's Affairs Medical Center complex circa 2013 in Long Beach. hd00:03Africa, Nigeria, Imo State. December 7, 2009. Crooked sign saying ' Community School' in a real area in Nigeria. 4k00:09Bus stop against tall buildings, New York City. hd00:10Mae Hong Son, Northern Thailand, March 2012: View of Karen Burmese refugee village known for its long neck women.